As an avid fan of television’s Project Runway, I’ve watched designers make dresses out of candy and put together funky new uniforms for the US Post Office employees. It’s great TV to see the creative mind at work. 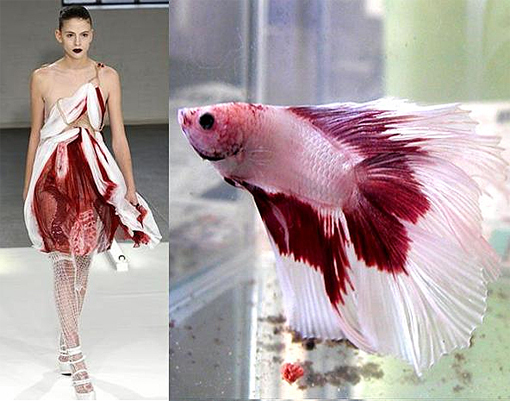 Granted, I’m not a fashionista and would rather throw on a T-shirt and jeans than don haute couture. However, I do appreciate beautiful things and, this being Earth Day and all, I thought I’d share the work of designer sisters Kate and Laura Mulleavy. 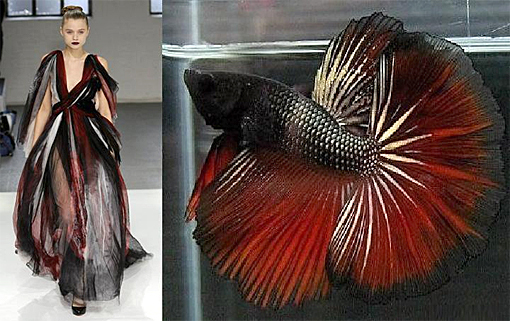 Under their label of Rodarte, the women from Pasadena presented their fall/winter 2008 collection and the colors and flow of the fabric were amazing and seemed to have been inspired by nature. 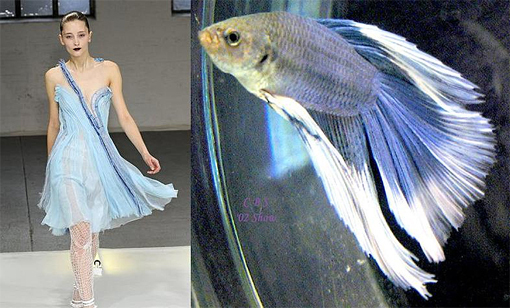 Trendinista has paired many of the dresses with what surely must have been their inspiration – Siamese fighting fish. Here are just a couple of examples of the unique tandems. 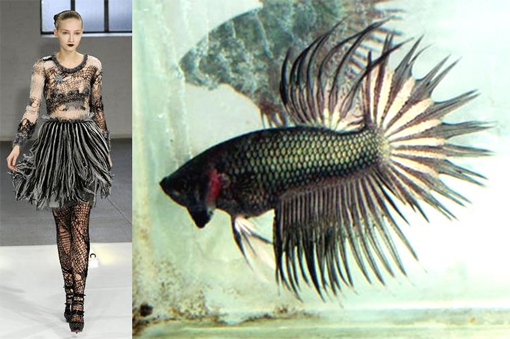 For some fashion that incorporates everything from mud to flowers and sticks, check out these African tribal looks.